Samsung is all set to introduce it’s next flagship product. The next flagship from Samsung will be called the Samsung Galaxy S10 series. 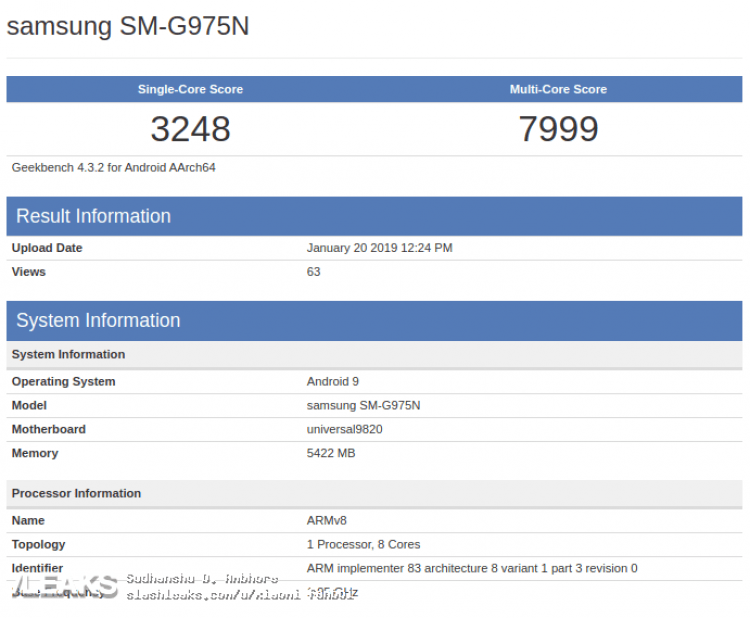 The upcoming Samsung Galaxy S10+ is now spotted passing through the benchmarking site Geekbench. The Geekbench listing confirms us some major specifications of the upcoming Samsung Galaxy S10+ smartphone.